There are two directions of Dhura in Buddhism. 1. Kuntha Dhura : is based on study of Buddha Teachings such as Pali, Dhamma, and Discipline. 2. Vipassana Dhura : is based on study of moral concentration, on acquisition of attaining enlightenment or Nibbana. 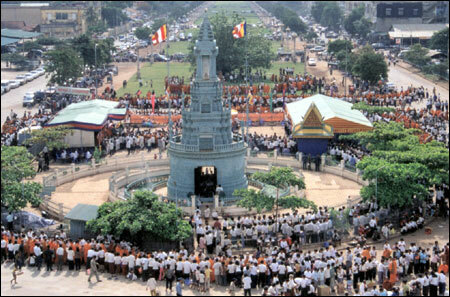 However, most of Cambodian Buddhists don't know about both Dhura, especially about Vipassana Dhura. 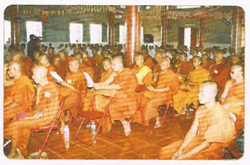 As a result, the cabinet of His Royal Highness Supreme Patriarch(Somdech Preah Songhareaj) and the Minister of Ministry of Cults and Religions codially decided to creat Vipassana Centre and appionted MASTER VENERABLE SOM BUNTHEOUN(Preah Vipassana Som Buntheoun) as the President on the 26th August 1996 and located in Watt Nondamuny Temple, Sangkat Stung Meanchey, Khan Meanchey, Phnom Penh Capital City. At the moment, Buddhist Meditation Centre has moved to the west hill foot of Adharas Mountain in Commune of Phsar Dek, District of Srok Ponhea Leu, Privince of Kandal. 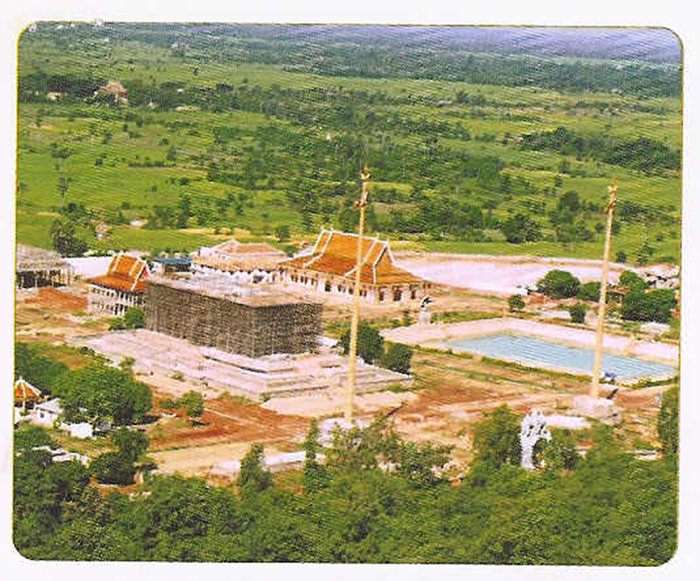 This new place is named Vipassana Dhura Buddhist Meditation Centre of Kingdom of Cambodia. 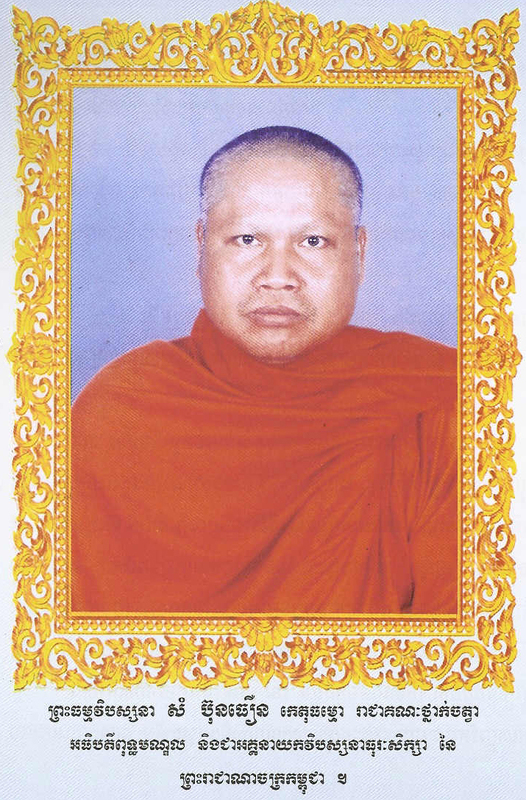 PREAH KROU VIPASSANA SOM BUNTHEUON, INSIGHT MEDITATION TEACHER OF BMC. 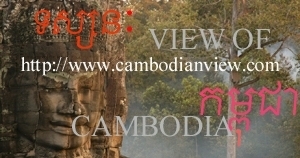 Cambodian Society is a community which people love peace and wisdom. They try to study both Dhamma(meaning of life) and worldly environment by following the teaching of Lord Buddha that focus on non-violence, tolerance, peace, hospitality, loving-kindness, compassion, sympathetic-joy, equanimity; making as the code of their living. 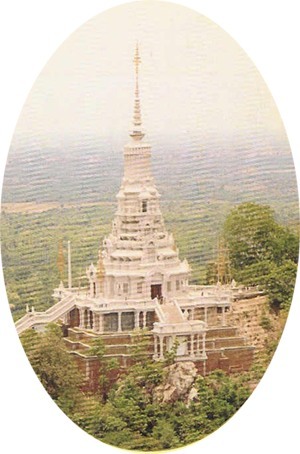 1- Establish school of Vipassana(Insight Meditation) to instruct and guide all Cambodian Buddhists to do good, avoid all evils and cleanse their mind according the way of Lord Buddha, to have patience and calmness for themselves individually that could lead to the prosperity of whole society. a). Explaining directly to everyone. b). Preparing the mini classe courses for everybody in both inside and outside of the Centre. c).Forming the works by sending educated Buddhist monks to abroad and welcoming all foreign visitors who wish to practice meditation in our centre. 3- Offering alms food to monks, nuns and laypeople who are practicing Meditation in this Centre. 4- Build a nursing home to take care and give healthy aid to both domestic and international associations, communities and institutes in order to treat those people who wish to study Dhamma. 5- Establish a Talent Pali and Sanskrit Language School, and also national and international literature. Copyright ©August, 2003 Khmer-Canadian Buddhist Cultural Centre. All Rights Reserved (unless otherwise stated).